(NaturalNews) With the increased public pressure and negative press around the growth of GM crops, more and more corporations are opting out of using GMO products in their ingredients – and Del Monte is the latest food giant to make the switch. The move from Del Monte comes as a result of pressure from investors who are seeking more "natural" products, particularly non-GMO and BPA-free products, as reported by Fortune. BPA – or bisphenol A – is a chemical found in bottles and food packaging that is considered to cause a variety of health problems, including cancer and brain damage. The announcement from Del Monte is further proof that the clean food movement is winning, with the canned food giant opting to follow in the footsteps of Campbell Soup and General Mills, who both recently announced that they were moving away from BPA packaging. Del Monte hopes that the transition will be complete across 100% of its products by May 2016. 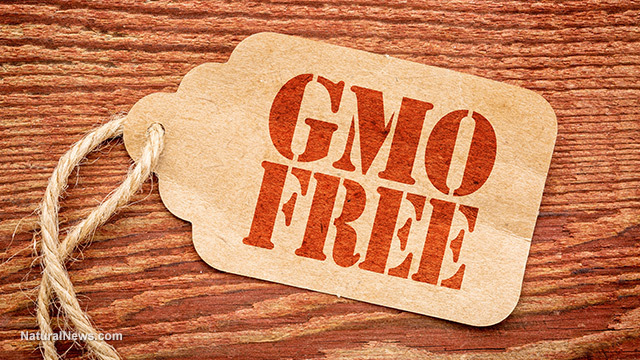 Meanwhile, Del Monte is also stepping away from GMOs across 154 products including vegetables, fruit cups and most tomato products – these will now be labelled accordingly, allowing consumers to make informed decisions about what goods they purchase. According to Del Monte, as reported by Fortune, "These moves, which represent a majority of the company's products, come as a direct response and commitment towards meeting the evolving preferences of many consumers." The Del Monte website states that "in 2016, we will be labeling all of our vegetables, fruit cups and many more tomato products as non-GMO. In addition, efforts are currently underway with our suppliers to verify their ingredients' non-GMO status, and, where necessary, to assure a consistent supply of replacement ingredients in order to label our remaining qualified products as non-GMO." Hershey's has recently started to transition its sugar sourcing away from GMO sugar beets and towards non-GMO sugarcane, citing consumer discomfort with GMOs as the main reason for making the switch. Hershey's made the decision following a campaign by a coalition called GMO Inside – this same group pressured General Mills into GMO-free Cheerios. The policy change by Hershey's caused ripples throughout the sugar beet industry, which currently supplies more than half of the sugar consumed in the US – and almost 100% of sugar beets are GMO. But outside of the sugar beet industry, the pressure is also being felt. For such powerful food giants to be making decisions to move entirely away from GMO products, public pressure is clearly making a huge difference. If you want to know the truth about GMO, you should watch Seeds of Death: Unveiling the Lies of GMOs, a documentary that warns of the dangers of GMO foods and why we should stay away from GMOs. According to Waking Times, while the genetic engineering of food crops has been ongoing for over 15 years, the recent boom and potential for worldwide application is cause for concern. GMO foods have not yet been proven to be safe. The few GMO safety studies generally last only three months and are done on young rats – with no examination into what would happen later in the rat's life or how the future health of the rat might be affected by GMO foods. There has been no evaluation into whether or not GMO foods are safe for consumption during pregnancy – nor do they carry a label advising pregnant mothers that their safety during pregnancy has not been evaluated. The decision by Del Monte to step away from GMO foods, and to label their products accordingly, makes it one of the handful of forward-thinking food giants actually listening to the American public, taking action as a result of our opinion on GMOs. To find out more about the steps you can take to protect your health through clean food, check out Mike Adam's new book Food Forensics, set to be released July 26!